This route leads from Valdemossa to the summit of the Teix mountain, just above 1000 meters, and continues in a north easterly direction along the mountain ridge to Punta Galera, an outstanding viewpoint overlooking Deia, Port de Soller and Soller. From the summit of the Teix onwards there is no trail as such but the way is well cairned all along. 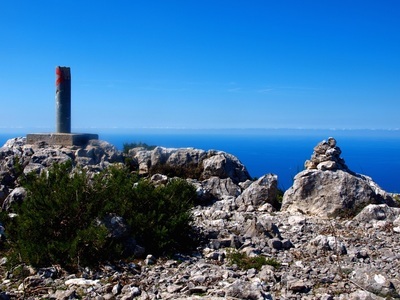 Past Punta Galera two routes are possible, one joining the GR 221 at Can Prohom (Son Mico) and the other leading directly to Soller proper. 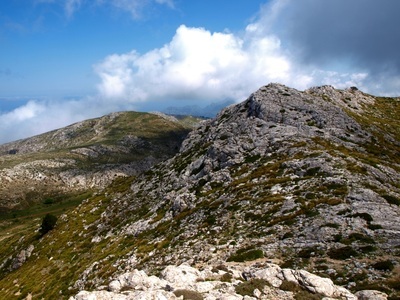 There are great views along the way, and this route explores some of the wilder part of the mountains, where you are not likely to meet anyone else. Not to be missed for the grandiose views, the silence and the wild rugged beauty of the area. 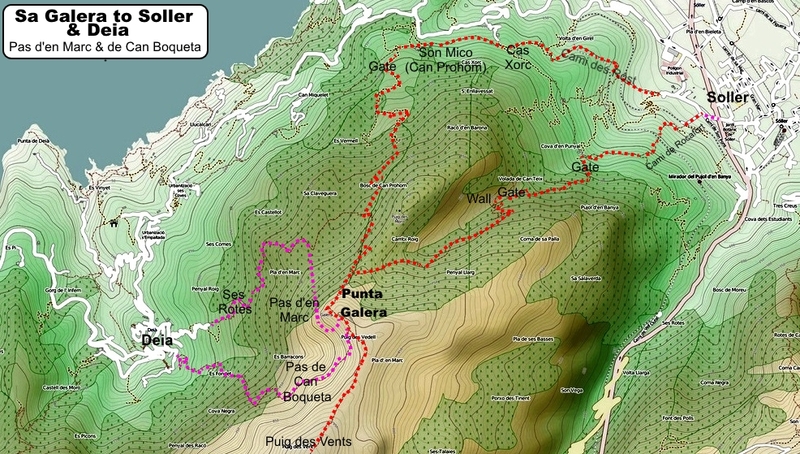 NB: The way is described on purpose from Valdemossa to Soller, because of a number of right of way and orientation issues when starting off from the Soller side. By Bus: Service 21O runs between Palma and Soller via Deia and Valldemossa at least six times a day. 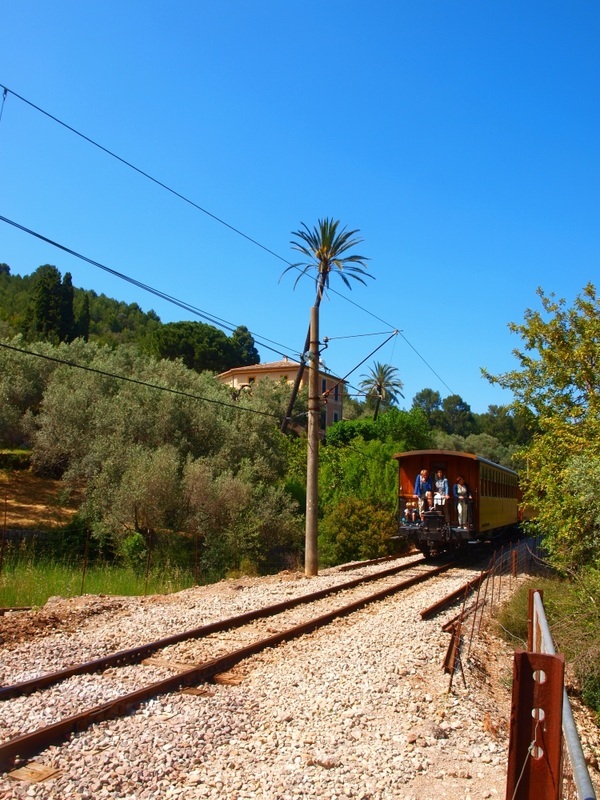 From Soller you can take service 211 direct to Palma, or hop on the narrow gauge tourist train. 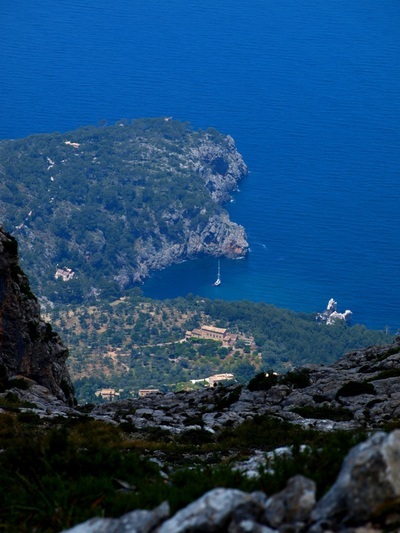 By Car: Valdemossa is less than half an hour from Palma; Parking in Valdemossa is expensive in the car park, but you can park for free on the streets close by the starting off point. Bus service 210 will take you back to your car from Soller, but all in all the whole thing is best done using public transport, saving you a time consuming return from Soller to Valdemossa. 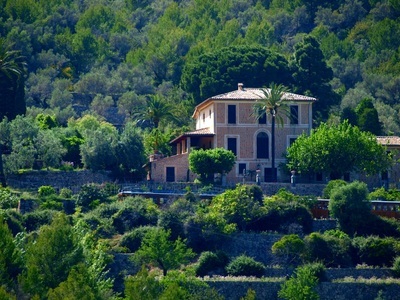 Start off on the eastern side of town above the main Palma road, on the road to the Finca de Son Moragues and the Refuge des Carrats. 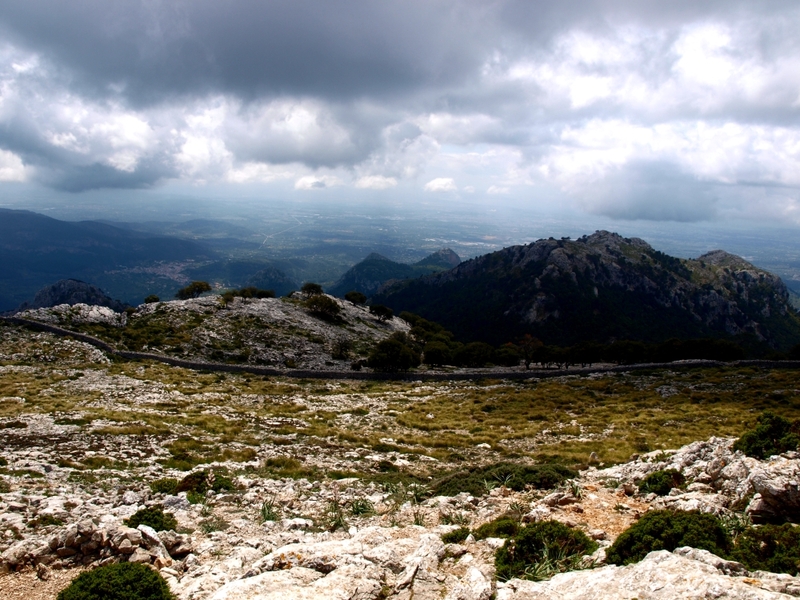 Climb straight up to the refuge, reached in less than an hour, and continue up the hill towards the Cami de s'Archiduc. 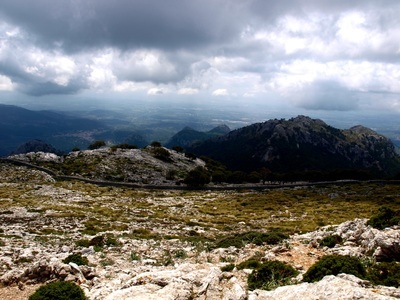 An alternative route can be chosen by taking the turn off to the right just before the refuge signposted Serra des Carrats and join the summit of the Teix from the south. On the normal route, keep going up the windy path till it levels. 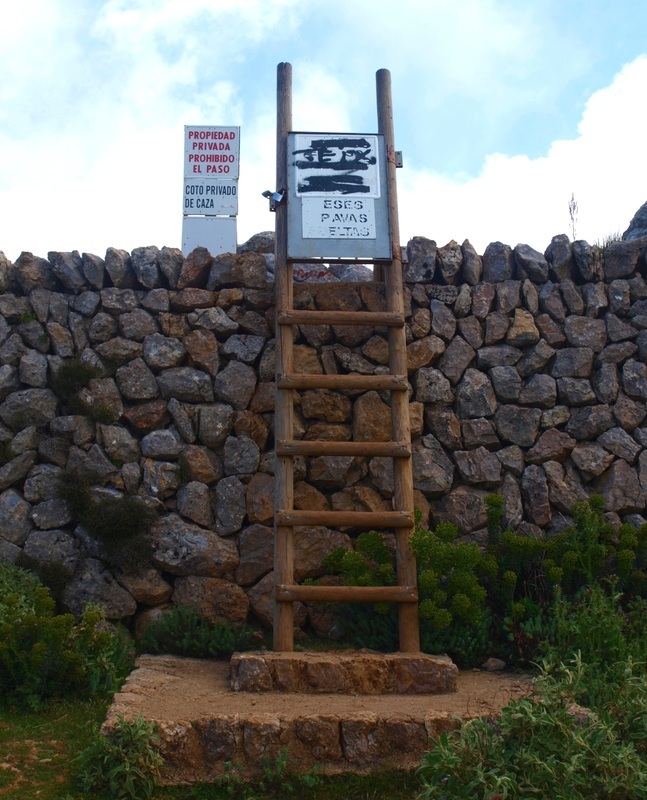 You will soon (30 min) reach a large cairn, with a well defined path to the right that you follow to a boundary wall with a large stile and a very prominent gate with a no entry sign. 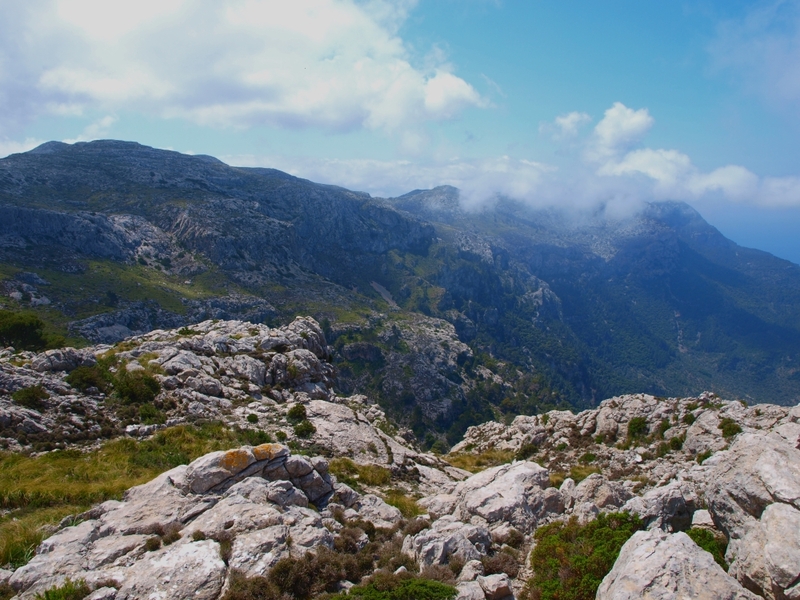 Ignore all signs (everybody does), pass the wall to the side of the stile and reach the Pla (Flat) de Mala Garba, from where you can follow one of the many trails leading to the Teix summit. After enjoying the view, return to the Pla and follow the faint track crossing it to the north east . Leave it to the left as soon as it starts to slope down, and follow the ridge in a north easterly direction. 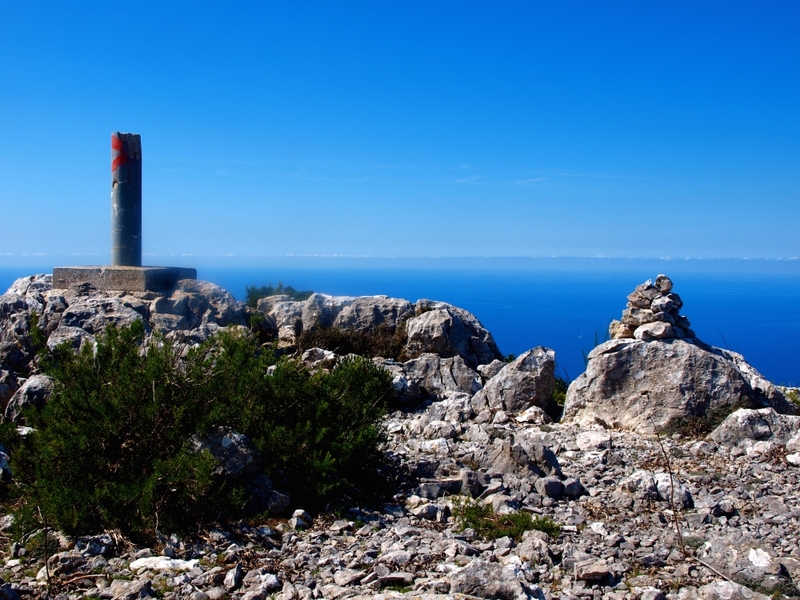 You will soon find a line of cairns that will take you all the way up the Puig des Vent and onwards to Punta Galera reached in around an hour and a half, crossing wild, barren and rocky grounds and following the ridge above the Deia amphitheatre all the way. Just follow the cairns. Sa Galera is a fantastic viewpoint some 900 meters above the sea overlooking Deia and Soller, surrounded by steep cliffs. It is a good spot for a lunch break .... but a bit too rocky for an overnighter. Note that the route down from the Teix summit to Deia following the Pas des Raco and/or Pas des Falco is very exposed, steep and is better left to thrill seekers. The way is equipped with safety cables along the most exposed passages, but, even so, it is no childs play. 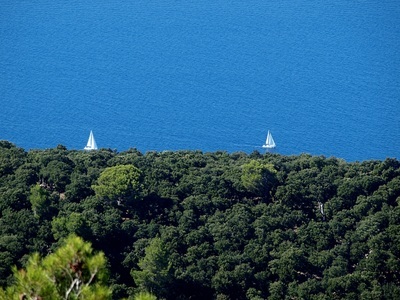 From Sa Galera, there are a number of options to return to sea level. 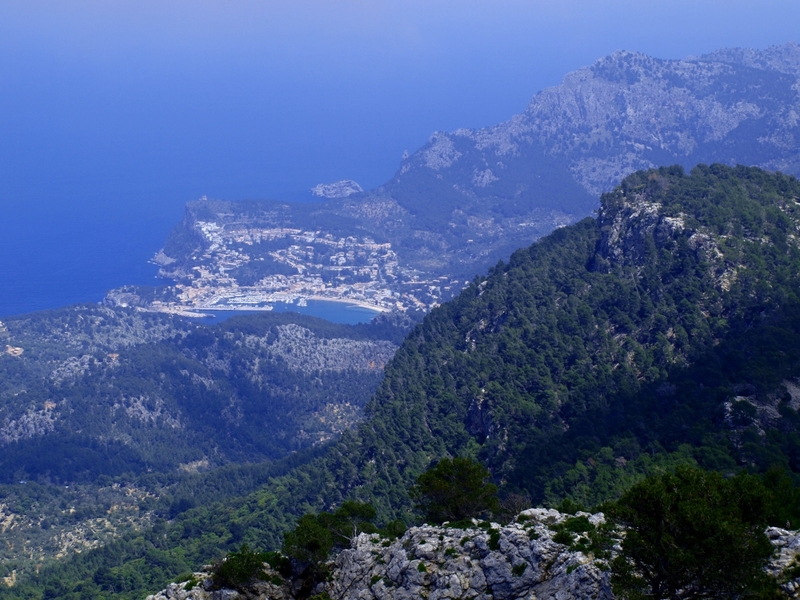 Pushing on towards Soller is certainly longer then opting for a more direct decent towards Deia, but it is also certainly easier. 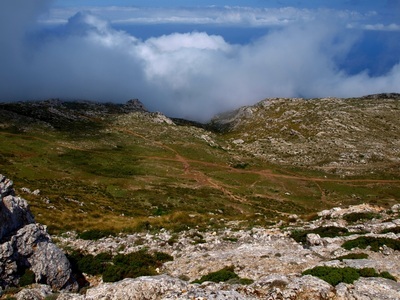 The way down to Deia involves negotiating either of two 'Pas', the Pas d'en Marc or the Pas de Can Boqueta, both well equipped with cables and lines but quite exposed. These are described here. A small cairned path descends steeply in a North Easterly direction from Sa Galera towards Soller. 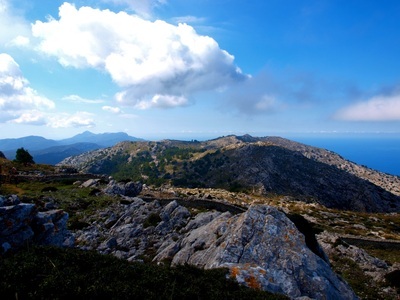 Follow that till you reach a small level ridge linking Sa Galera to the Puig del Moro, with a drystone boundary wall on your left. 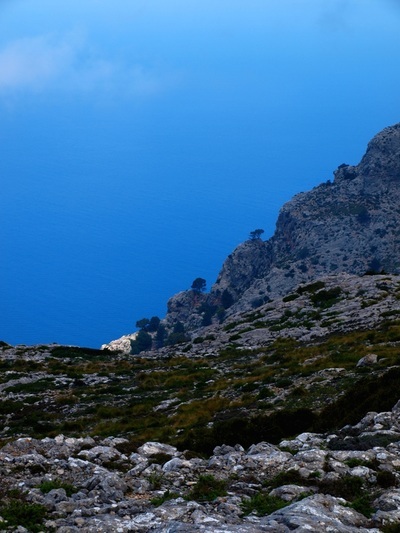 You have a choice here: either take a right down the steep valley leaving the ridge directly in an easterly direction towards Soller, or take a left, crossing the wall where it collapsed and look for the path towards Son Mico/ can Prohom. 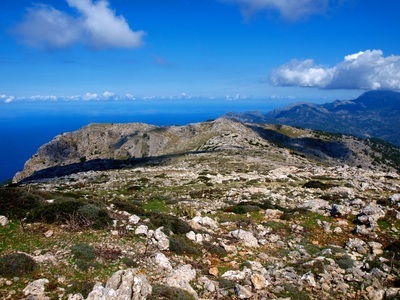 The other option from the Puig de Moro ridge is down northwards to Can Prohom/ Son Mico, and on to Soller on the GR 221. Go through the gap in the boundary wall, and follow the wall in a Northeasterly direction for a short distance. Look out attentively for footpath signs and cairns. The start of the path is not obvious to find, but once you've got it the rest of the way is easy. The path meanders down the mountain side, steeply at times, till you reach a maze of tracks in the forest, some of them driveable. Pick your way, always in a north easterly direction, going past a number of hunting platforms, and crossing a few boundary walls. 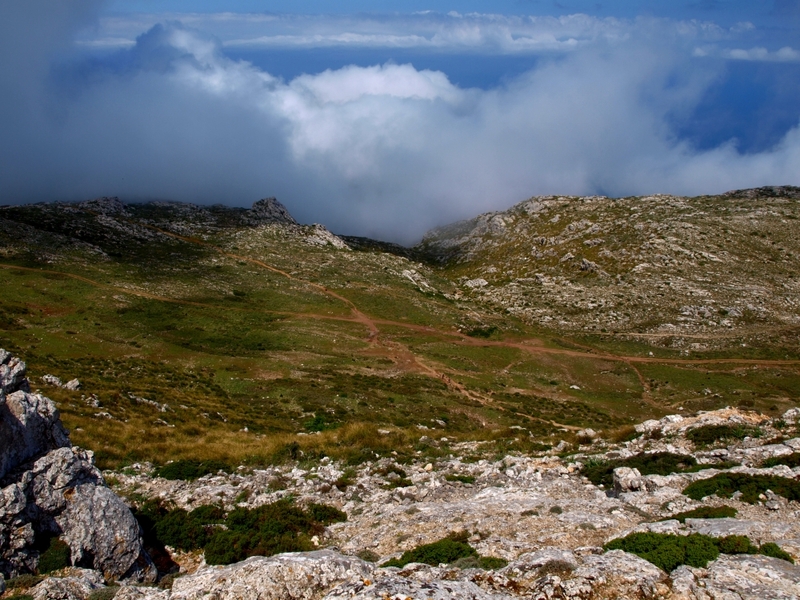 You will eventually reach a large gate, and soon after that the GR221 (sign posted) just a few hundred meters to the east of Son Mico. Have a drink and a rest outside the beautiful finca of Son Mico, and push on to Soller along the Cami des Rost, an hour away. 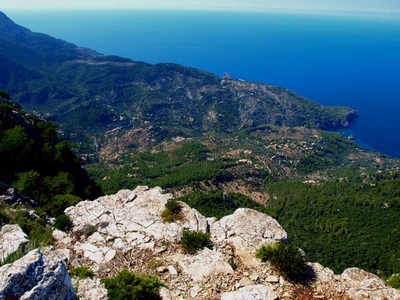 It takes at least 2 1/2 hour to reach Soller from Sa Galera this way.